The last time I prepared a brisket, I planned to serve it at 5 p.m. on a Saturday. It was a good-sized brisket, weighing about 14 pounds. On Friday night, I pulled it from the refrigerator to bring it to room temperature and started preparing the smoker. The meat went on at about 9 p.m. I watched the fire and temperature for a couple of hours, then went to bed. My alarm went off at 3 a.m. I checked the fire and temperature in the smoker. Mopped the brisket and added additional wood to the fire. Then I went back to bed. At 8 a.m. I got up and repeated the process. By 2 p.m. the brisket was tender and full of smoky flavor. It was the undeniable winner at that evening's neighborhood cookout. If this sounds extreme, you probably don't want a smoker that requires you to get up in the middle of the night to tend the fire. You can buy decent electric and gas smokers that hold temperatures automatically, allowing you to sleep through the night. But if a 3 a.m. wake-up call in the name of flavor seems perfectly reasonable to you, then a charcoal smoker makes a good choice. Electric and gas smokers provide set-it-and-forget-it convenience, but they do not produce the deep smoky flavor of charcoal. You can choose from several types of charcoal smokers. 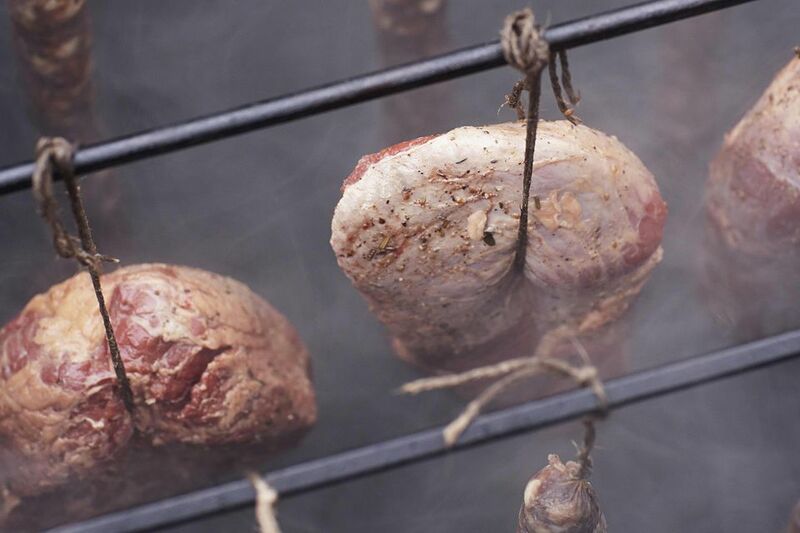 Offset models funnel the smoke from the fire into a food chamber and are a common pick of competitive pitmasters. Bullet smokers also called charcoal water smokers, and the similar egg-shaped smoker/grill combination versions make a lot of sense in the backyard and for novices because of their compact size and stable heat-retaining ability. Barrel smokers can be purchased either fully assembled or in kits, or DIYed with materials easily found at any hardware store. You should also consider the price. Most styles come in both budget and more advanced models, but less expensive bullet smokers tend to produce better barbecue than less expensive offset smokers, making them a more practical choice for novices. If you haven't done a lot of smoking, it probably doesn't make sense to spend hundreds or even a few thousand dollars for your first smoker. After all, you can produce a respectable rack of smoked ribs on a basic kettle grill. But if you're ready to up your grilling game, a dedicated smoker can take your food to the next level. When you go shopping, keep in mind your desired level of convenience, the size, and the price, and you will find the best type of smoker for you. Once you get your smoker home, play with it. Learn how it works and experiment to discover the best process for you. Though smoking uses science, it is truly an art, and every great barbecue cook does things a little differently. If you find that you have a real love and knack for smoking, you can always upgrade to a bigger and better model.